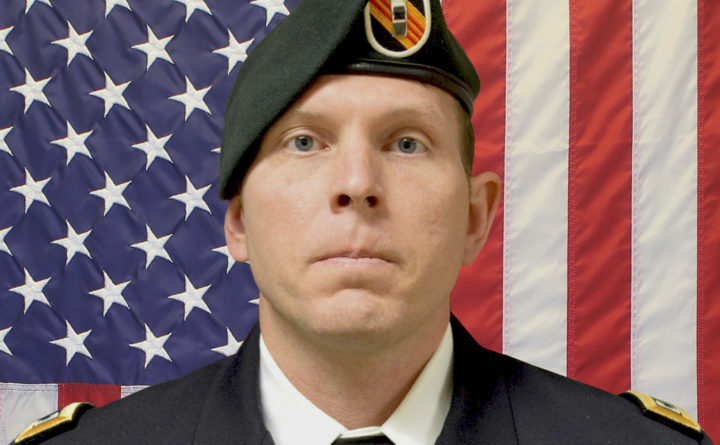 Army Chief Warrant Officer 2 Jonathan R. Farmer, 37, of Boynton Beach, Fla. Farmer was killed in the northern Syrian town of Manbij on Wednesday, Jan. 16, 2019. Bowdoin College graduate Jonathan R. Farmer was one of 16 people — including four Americans — killed this week by a suicide bomb in Manbij, Syria. The bombing, for which the Islamic State claimed responsibility, killed two U.S. service members and two American civilians, according to the Associated Press. Farmer, who was originally from Palm Gardens, Florida, was a history major who graduated from Bowdoin in 2003. The 37-year-old Farmer was a U.S. Army Green Beret with a ranking of Army chief warrant officer 2, according to a letter from the Bowdoin College office of the president. Michael Harding, a 2003 Bowdoin graduate who was Farmer’s roommate, teammate and close friend, called him a “loyal and selfless friend” in the letter. After joining the Army on March 30, 2005, Farmer went on to graduate from the special forces qualification course as an engineer sergeant. In 2016, he earned his commission after being selected to the Special Forces Warrant Officer Candidate School. Farmer was then assigned to the 3rd Battalion, 5th Special Forces Group, which was based out of Fort Campbell, Kentucky. He had served on numerous overseas tours, including six combat tours in Iraq, Afghanistan and Syria, according to the letter. While in the military, Farmer was the recipient of various awards and decorations, including the Bronze Star Medal with two oak leaf clusters, the Purple Heart and the Army Commendation Medal. “He was the kind of person you want to be around, you want your kids to be around,” family friend Cathy White told The Gainesville Sun. He is survived by his wife, four children and parents.